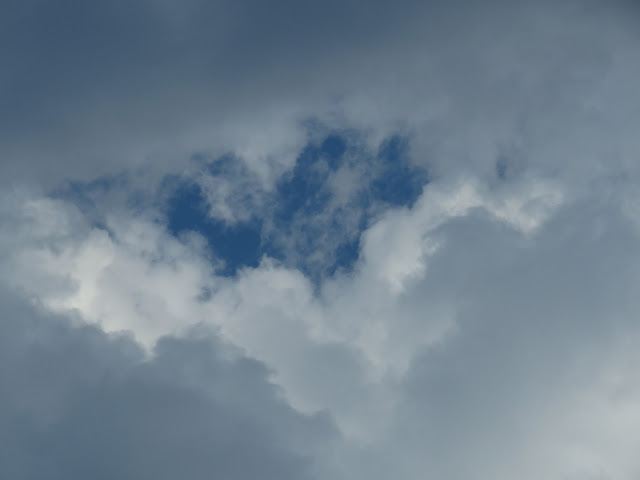 There's just something super charming about seeing a heart where you least expect it! Over the last year, I've been compiling a few photos of hearts that I came across in nature. 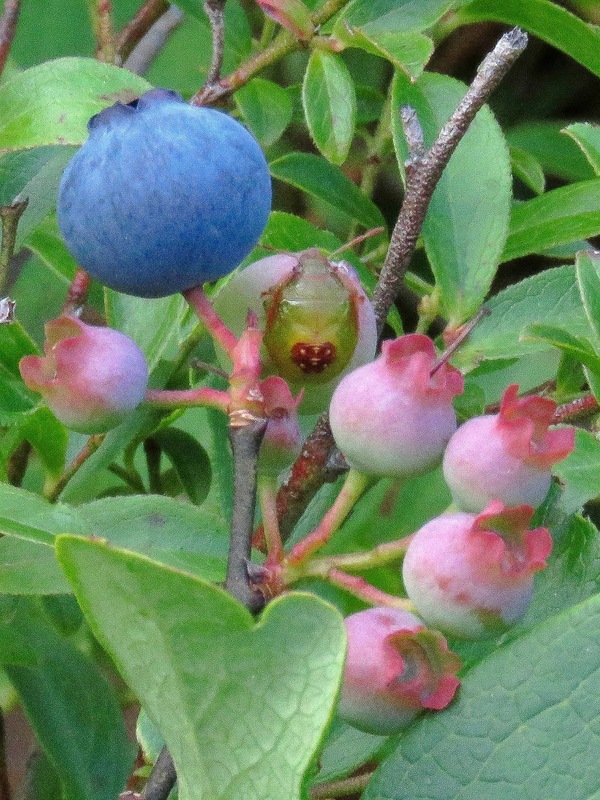 I was taking a photo of some wild blueberries, mostly because I adore and wanted to capture that pink hue in the non-ripe berries, and was delighted when I creeped down low to see this cute beetle, and even more delighted when I saw it looked like it had a heart on its back! 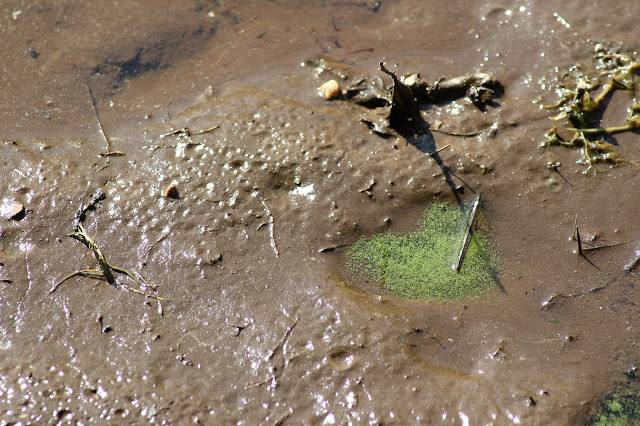 Was on an early spring hike when I saw this depression on the trail, near a swamp. 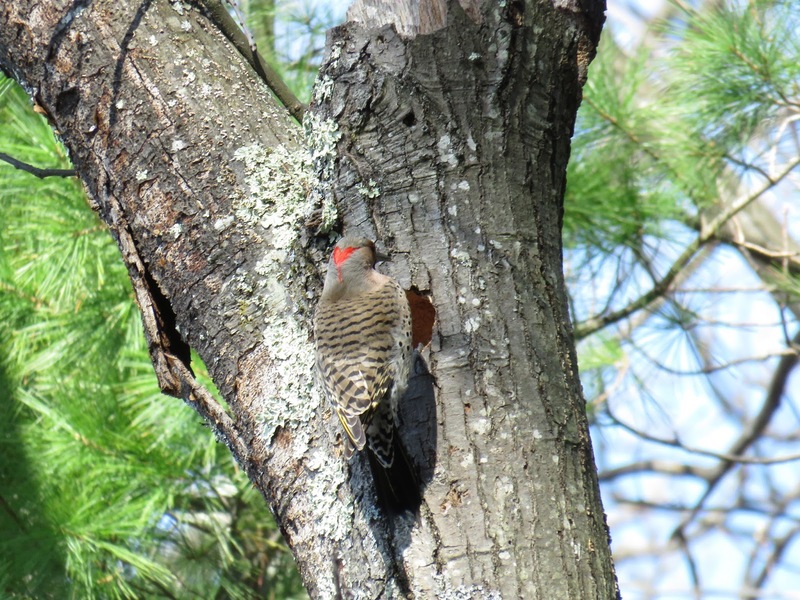 The red on the back of this northern flicker's head is common, but sometimes it looks more heart-like than other times! 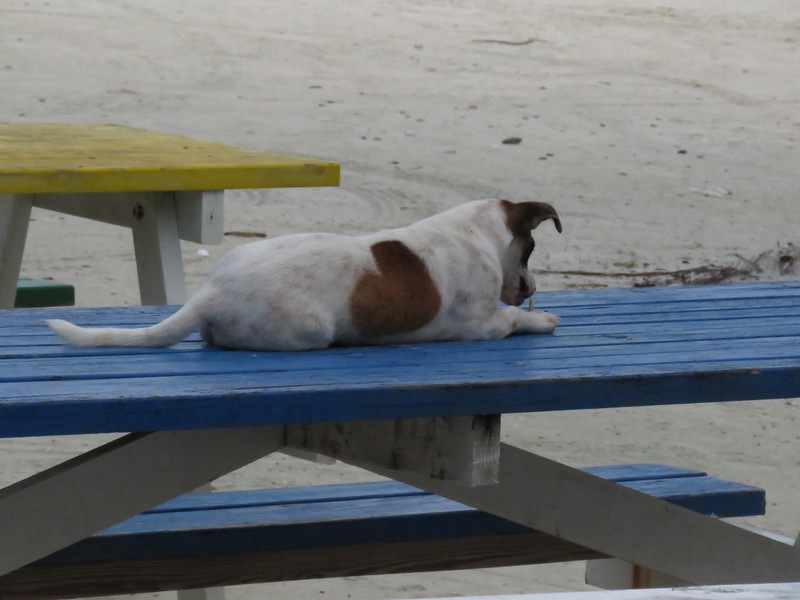 This dog was hanging around the local coffee shop in Belize. And finally, don't forget to look up! 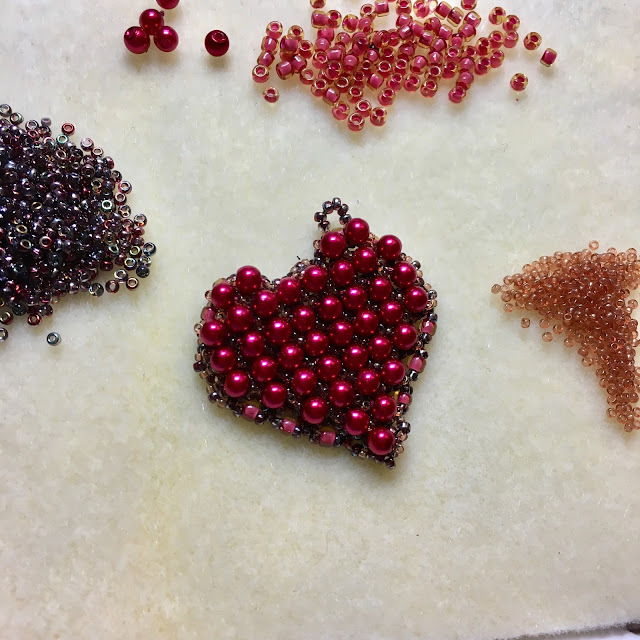 Every year I try to fit in some Valentine's beading in and worked on this piece that I saw from a Bead&Button a couple years back. Works up pretty quickly! Great pics! I always pick up heart shaped rocks. I even have a rock with a heart shaped depression in it. That beetle!! Of course, all the hearts in nature amuse me, but there;s something about that tiny beetle that tickles my fancy. I hope you have a wonderful Valentine's Day!